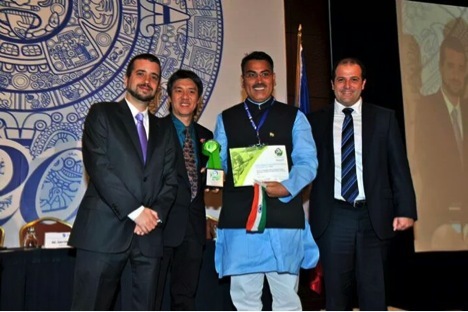 During the Opening Ceremony of the 75th Skål World Congress held at the Sheraton Maria Isabel Hotel in Mexico City, Mrs. Karine Coulanges, International President of Skål International, presented the Sustainable Tourism awards to eight winners. 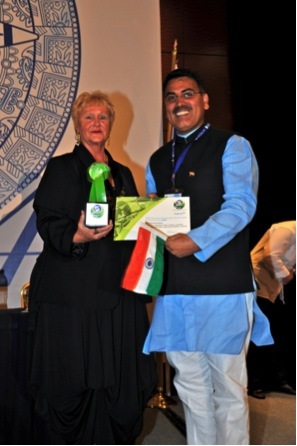 Conducted with the help of Sealed Air’s Diversey Care division, a leading global provider of commercial cleaning, sanitation and hygiene solutions, the awards honour tourism initiatives that support environmental sustainability. Since their launch in 2002, the awards have received strong ongoing support and attracted a high level of participation, with a total of 506 entrants. This year, a total of 24 projects from 12 countries entered the eight different categories. Click here to view the full list of projects. To evaluate the projects, Skål International selected the panel of three independent judges from important institutions/organizations and experts in Eco and Sustainable tourism. The primary criterion for the evaluation is based on points such as contribution to the conservation of nature and cultural heritage, community involvement, educational features, business viability and innovation. Stefan Phang, Regional Director, Sustainability & CSR, Diversey Care, attended the 75th Skål World Congress to share valuable information about the significance of sustainability in the tourism industry and to present the Skål Special Recognition Award by Diversey Care to the winner.